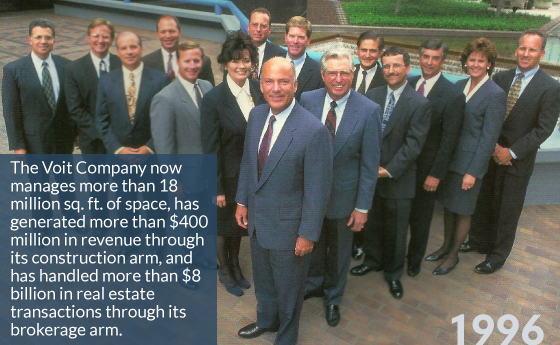 After just three years, Sher-Voit becomes Orange County's third largest brokerage in terms of volume. 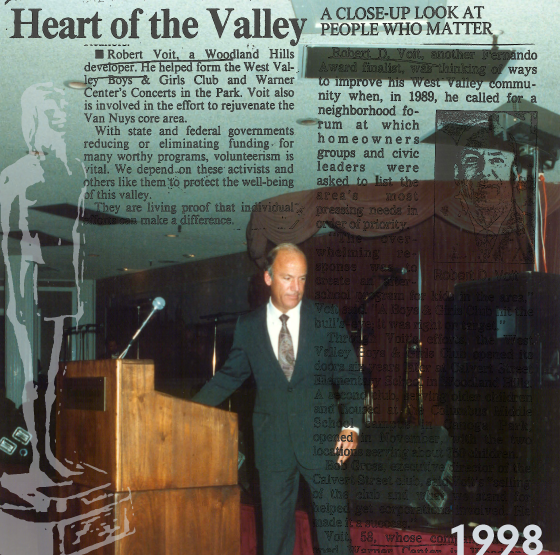 Robert D. Voit receives the Valley Prize for Outstanding Contributions to the Growth of the San Fernando Valley. 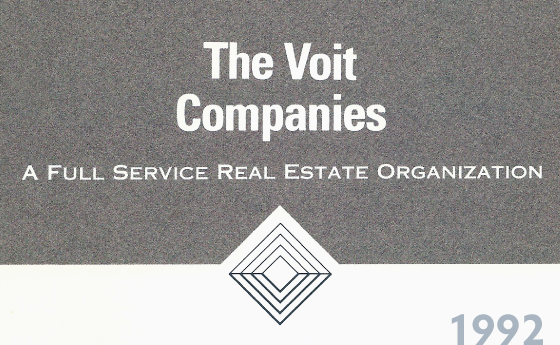 Voit makes CPN's Top 100 Property Managers list. 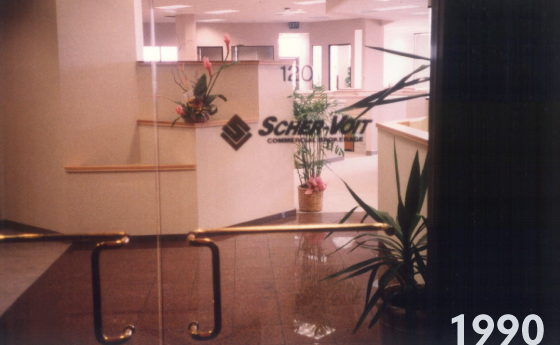 Scher-Voit becomes Voit Commercial Brokerage Company. Voit completes the Warner Center Plaza and 800,000 sq. ft. Warner Center Business Park in Woodlands, CA. 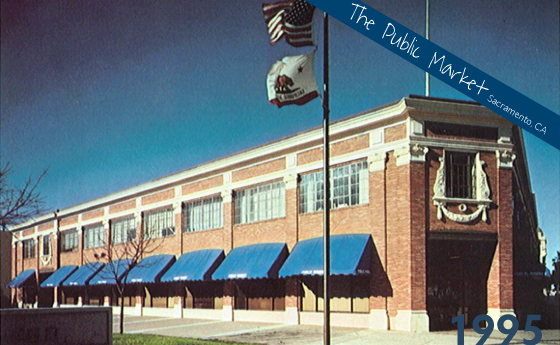 Maintaining its place in the heart of Sacramento's downtown, The Public Market is a distinctive focal point in an area experiencing an exciting renaissance. Through a $2.5 million renovation, the exterior of The Public Market was artfully restored through masonry replacement to retain its original grace and elegance. 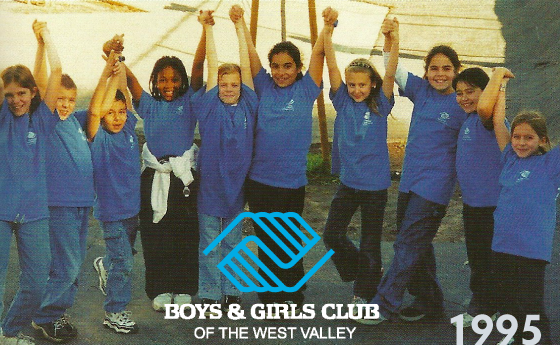 Brad Rosenheim, Bob Voit, and Roger Greaves cofound The West Valley Boys & Girls Club, serving 750 children. 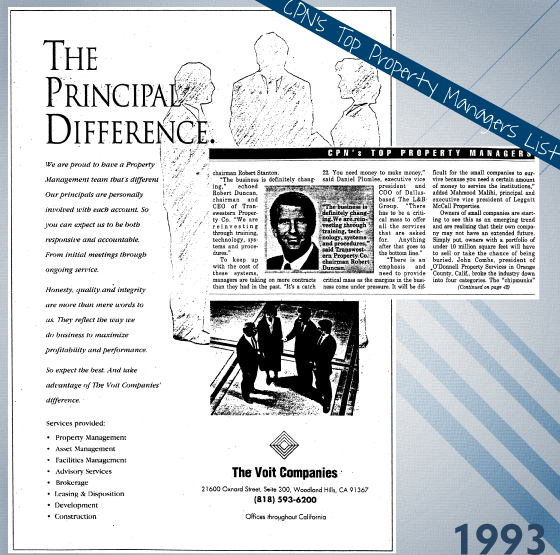 The Institute of Real Estate Management (IREM) selects The Voit Companies as an award winner in its 1995 Communication and Marketing Awards Contest. 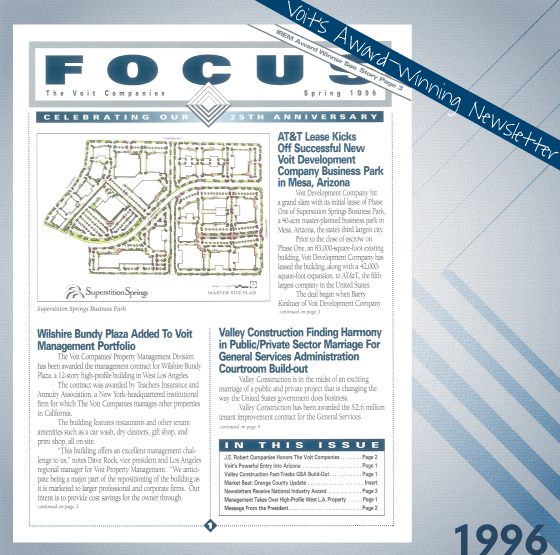 "Focus", Voit's newsletter, was awarded second place nationally. 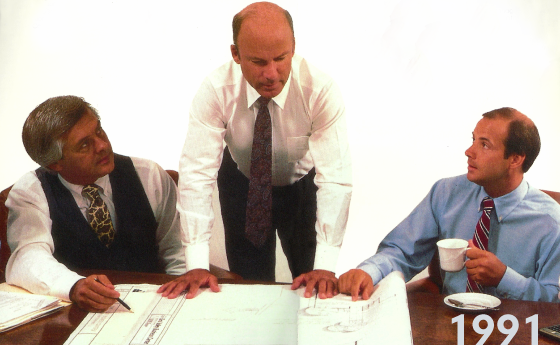 Founded on Robert D. Voit's powerful, visionary focus a quarter of a century ago, Voit Development Company has created an impressive portfolio of more than seven million sq. 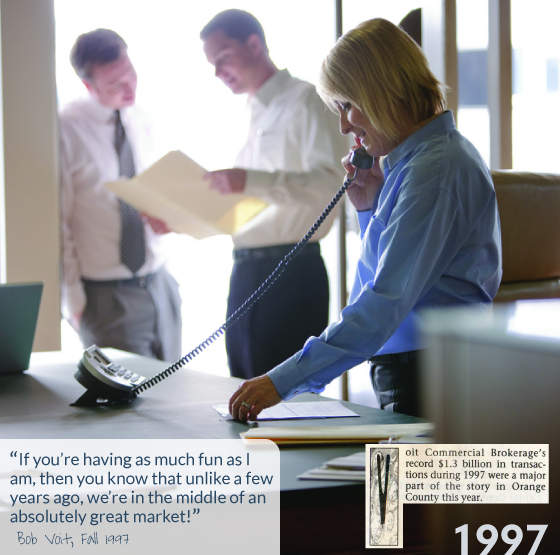 ft. valued in excess of $600 million. Superstition Springs Business Park in Mesa, Arizona is a 40-acre park. 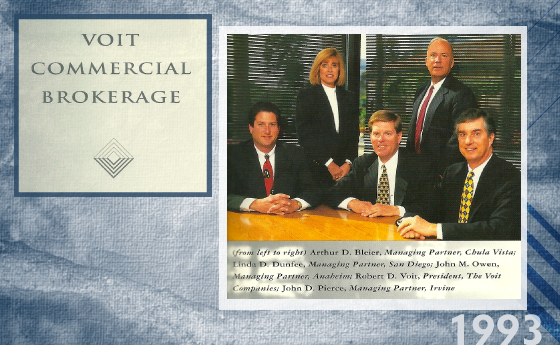 Phase 1 involved Voit Development Company's acquisition and 40,000 sq. ft. expansion. 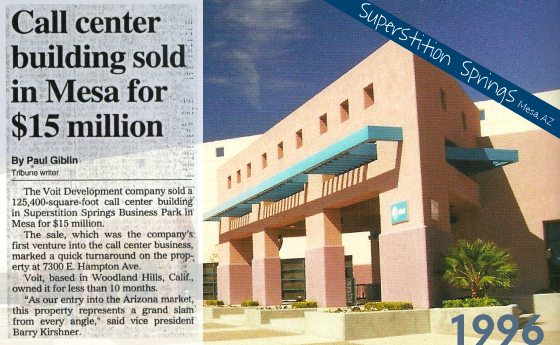 The project was sold by Voit Commercial Brokerage less than 10 months after the initial acquisition. The 2,976,000 sq. 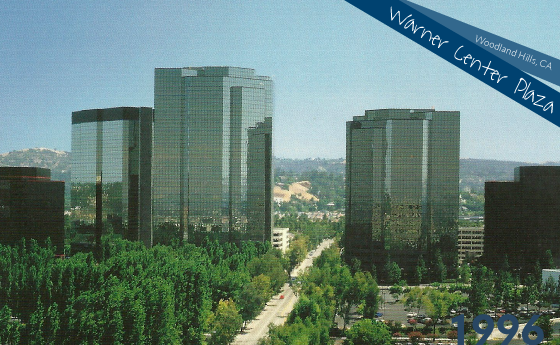 ft. Warner Center Plaza and Warner Center Business Park, developed by Voit Development Company from 1973 to 1994 in Woodland Hills, California, now houses more than 300 companies, including the corporate headquarters for The Voit Companies. 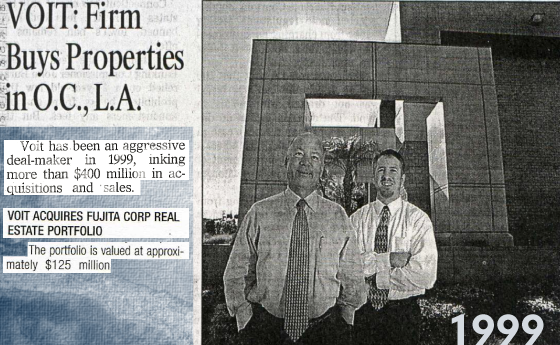 Warner Center Properties continues to be managed by Voit Management Company. 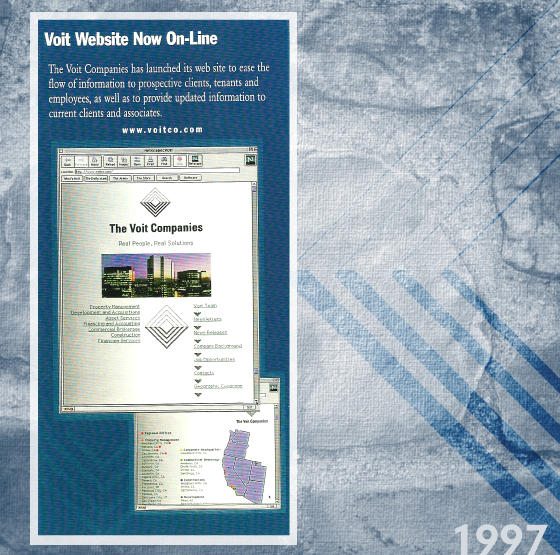 Voit launches its first website. Voit handles $1.3 billion in brokerage transactions. Robert D. Voit receives the Fernando Award for Civic Accomplishment. For the first time ever, The City of Los Angeles partners with a privately owned company - Voit! 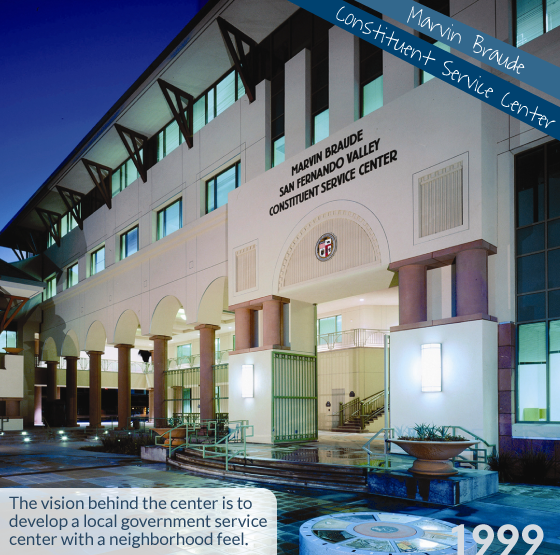 They hire Voit for the construction of the Marvin Braude Constituent Service Center. In what may be the largest industrial portfolio sale in Southern California in a decade, Voit Development Company acquires a portfolio of 2,000,000 sq. ft. of business parks and industrial buildings in Los Angeles and Orange Counties from Fujita Corporation. 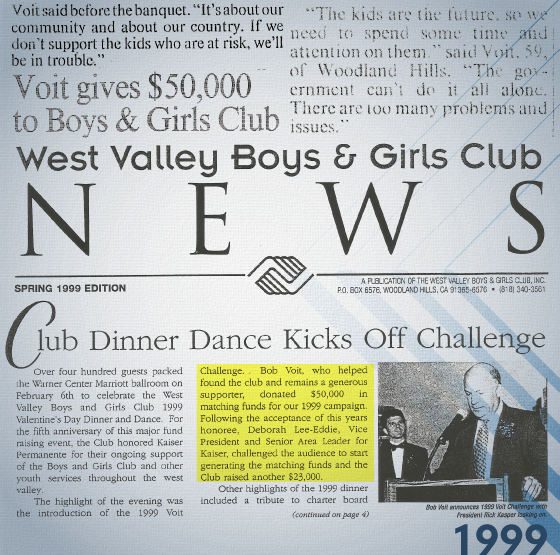 Bob Voit donates $50,000 in matching funds to the West Valley Boys and Girls Club. 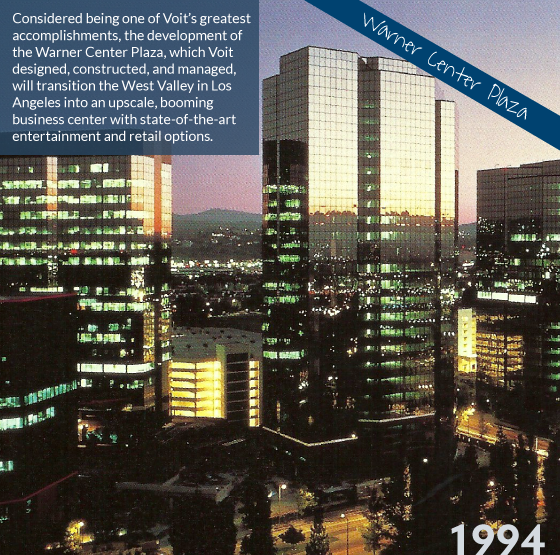 1990s - Beyond completing Warner Center Plaza and Warner Center Business Center, Mr. Voit receives the Valley Prize for Outstanding Contributions to the Growth of the San Fernando Valley.